In 1996, Goodyear started installing the G159 275/70R 22.5 tire – the G159, from here on – on RVs. That same year, the first complaint was made, claiming that the tire failed. To hear Goodyear tell it, there have only been 7 injuries and 58 tire failure reports since 1996. In truth, there have 74 death and injury claims, and 458 reports of crown separations. And it is no wonder, considering the tire “wasn’t suitable for RVs, based on Goodyear’s own internal data and experts.” All of this is revealed in a recently unsealed letter, obtained by Jalopnik, and online news and opinion site devoted to all things automotive. The letter was unsealed by Arizona Judge John Hannah, along with hundreds of pages of documents. All told, the documents prove that Goodyear has known for 20 years that its tires were killing people, but lied and hid behind confidentiality agreements in settling those cases. What was wrong with the tires? The G159 is defective. When it is installed on a vehicle that routinely reaches speeds of 65 mph or more, the tire would heat up, leading to tire blowouts and tread separation. On a slow-moving vehicle, like a delivery truck, such a defect would have never come to light. Slow-moving vehicles, after all, were what the G159 was designed for originally. Instead, Goodyear started installing the tires on RVs – vehicles that often reach and exceed speeds of 65 mph. Between 1996 and 2003, at least 40,000 G159 tires made their way onto RVs. 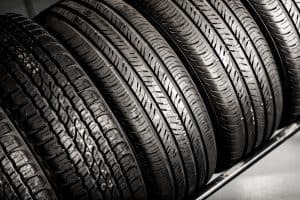 With each case it settled, Goodyear insisted on confidentiality – backed by the courts until now – of the information gathered in the litigation, so that the rest of the country would have no idea about how dangerous the tires were. That means that the National Highway Transportation Safety Administration, which wanted to investigate claims into Goodyear, could not access the information about the crashes. Protective orders are meant to allow litigants to maintain the confidentiality of trade secrets and confidential business information. Goodyear appears to have been abusing that privilege in the G159 cases. Goodyear arguably used protective orders dishonestly to gain an unwarranted advantage in litigation and to avoid tort liability. First, you should know that Goodyear has not recalled the tires. That could change in the days to come, but as of right now, they have not. If you own an RV and have G159 tires on your vehicle, you could be at-risk of the tire treads separating or the tires blowing out. If you have sustained injuries, or if you have defective RV tires, then you may be ale to make a claim for damages against Goodyear. Hundreds of people have already filed lawsuits, which leads us to believe that a class action is likely. You do not have to wait for a class action, or even join one, if one is formed; you can still file a lawsuit individually. If you believe you have a claim for damages against Goodyear for defective RV tires, Plattner Verderame, P.C. wants to help you. Our experienced Phoenix mass tort lawyers have the skills, experience and resources to handle complex litigation against national corporations. To learn more about our services, or to speak with an attorney, please call 602-783-8793, or contact us.